Maria Gianferarri’s All About ANIMAL PLAY! If you know Maria Gianferrari, you know that she loves animals. Of the 10 books she has sold for publication so far, every single one has an animal in a main character role. So perhaps you will not be surprised that this trend is continuing with her newest picture book deal. 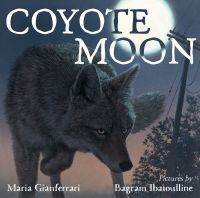 Carol Hinz at Lerner/Millbrook Press has acquired COYOTE MOON and HAWK RISING author Maria Gianferrari's new picture book PLAY LIKE AN ANIMAL, a light-hearted look at all the different ways animals play, with Mia Powell signed on to illustrate. The author was represented by Ammi-Joan Paquette at Erin Murphy Literary Agency, and the illustrator by Alex Gehringer at The Bright Agency, in a deal for World rights. Publication is expected in Spring 2020. This fun and energetic crowd-pleaser is one you won't want to miss. Hooray, Maria! Audrey Vernick has published two solo-written novels and two co-written ones (well, the second one is ALMOST out), and lots and lots of picture books, but announcing new deals for her never gets old! In fact, I am very pleased to announce the TWENTY-FOURTH book she and I have sold together! Margaret Ferguson has acquired for her imprint at Holiday House NEVER HAPPENED, a middle-grade novel by Audrey Vernick, in which 12-year-old Army's parents' business focuses on cleaning up after tragedies, Army is grieving about a recent tragedy of her own, and a new neighbor's escape-artist young daughter seems like a tragedy waiting to happen, especially with a hurricane bearing down on their coastal New Jersey town. The book is scheduled for a summer 2020 release. Erin Murphy of Erin Murphy Literary Agency brokered the deal for World English and mainland China rights. I am so thrilled to have paired Audrey with Margaret, who is truly one of the best editors in the business—a real author's editor. And I can't wait for Army to be out there for readers to love as much as I do. Katherine Battersby is Brewing Up TROUBLE! Tracy Gates at Viking has acquired SQUISH RABBIT creator Katherine Battersby's new picture book TROUBLE, about a city squirrel whose orderly life is interrupted by the arrival of a new neighbor: a bear who is CLEARLY up to no good. Publication is tentatively planned for summer 2020. Ammi-Joan Paquette at Erin Murphy Literary Agency did the deal for North American rights. Readers all over are in for a treat with this quirky and charming project. Hooray and huge congrats, Katherine! Deborah Underwood is at it again! Her latest deal has a wonderful science bent, but it's also about empathy. XO, EXOPLANET is about the planets of our solar system spotting another planet outside the system—an exoplanet—and reaching out to it, via letter, to express their happiness that it is in the galaxy. But feelings get stepped on as the correspondence continues. Who is really the exoplanet here? Tracey Keevan, who worked with Deborah on PART-TIME MERMAID and the Super Saurus books, has signed it along with editorial assistant Esther Cajahuaringa—and brought illustrator Jorge Lacera on board for a summer 2020 publication. Publication is scheduled for summer 2020. It's going to be dynamite!